a-ha played a 50-minute rehearsal concert at Union Scene in Drammen, Norway yesterday, in front of around 600 people – most of which had won tickets at a Platekompaniet signing session in Oslo the day before. The band has been rehearsing at Union Scene over the last few weeks to prepare for the upcoming South American tour, and this was the final dress rehearsal before heading to Luna Park in Buenos Aires, although the full shows are likely to include twice as many songs. A 14-minute video with clips from all the songs performed in Drammen has been posted on YouTube, courtesy of Rune Tønnessen. Three songs from Cast In Steel were played live for the first time last night, while “Sycamore Leaves” appeared in the setlist for the first time since 2004 – now with Morten singing it instead of Paul. “Early Morning” was played as a full band version, instead of the acoustic version they’ve usually done in the 2000s. 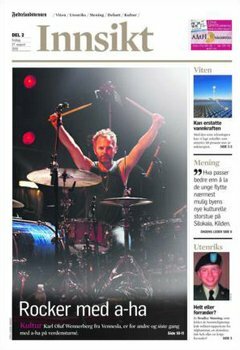 The biggest surprise was probably “Soft Rains of April”, which has rarely been played live since the late 80s – apart from the HHAL/SD concerts with the Oslo Philhamonics in 2010. 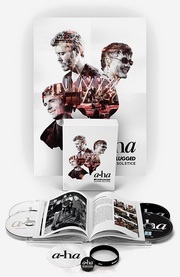 Just as on the two previous tours, a-ha are joined by Karl Oluf Wennerberg on drums and Erik Ljunggren on synth/programming, while new bassist Even Ormestad is going on tour with the band for the first time. Reports from some of the fans who were at the show seem to indicate that the sound is less polished and more rock-oriented than it was in 2009-2010, with Paul bringing out his Gibson SG Fano Alt de Facto ML6 guitar for some heavy riffs. 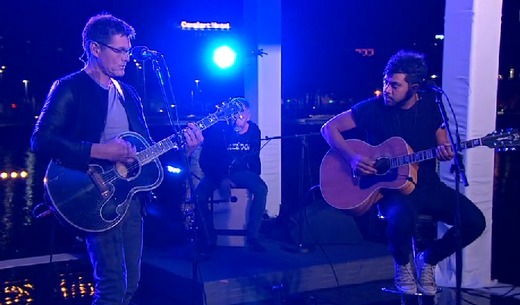 Morten was interviewed and did an acoustic performance of “Do You Remember Me?” on NRK1’s Sommeråpent last night. He was joined by Karl Oluf Wennerberg and Vicky Singh on the show, which was broadcast live from the roof of the Oslo Opera House. 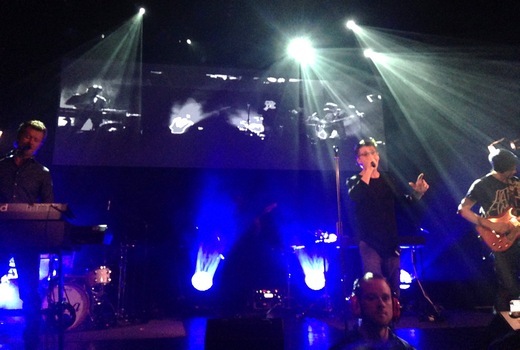 Morten was back at at l’Olympia in Paris last night, to play the first of nine concerts this month. The Paris gig was originally going to take place on May 14th, but had to be rescheduled due to Morten’s sudden throat infection. This time Karl Oluf Wennerberg was sitting in for Per Lindvall on the drums, while both Peter Kvint and Vicky Singh played guitar, which provided a rich sound. The 18-song set was quite similar to the May concerts, but with “Send Me An Angel” and “Movies” replacing “When I Reached The Moon” and “Should The Rain Fall”. 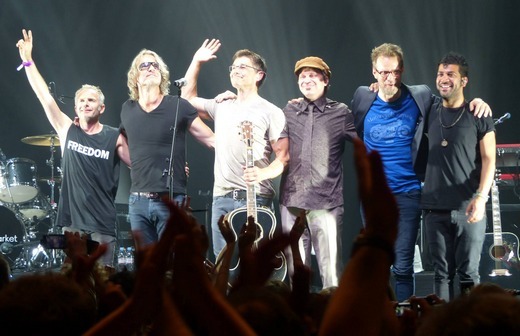 Now Morten and the band are off to London tomorrow for another rescheduled gig, before it’s time for more Norwegian festivals, starting on Thursday. The Brother album is still doing really well in Norway, in fact it climbs up from #15 to #10 in its 12th week on the official album chart. 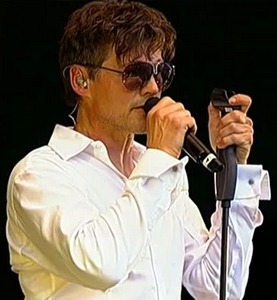 Morten and his band did a 10-song set at the Sommer Open Air event in Dorsten, Germany tonight, in front of a crowd of around 20.000 people. The concert was streamed live online at wdr2.de. Unfortunately, Morten’s voice was in pretty bad shape. Therefore, the vocals seemed to be playback on some of the songs, particularly evident on Scared Of Heights. 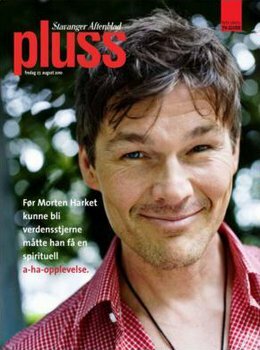 A controversial decision for sure, and possibly the first time Morten has ever used recorded vocals at a live concert. 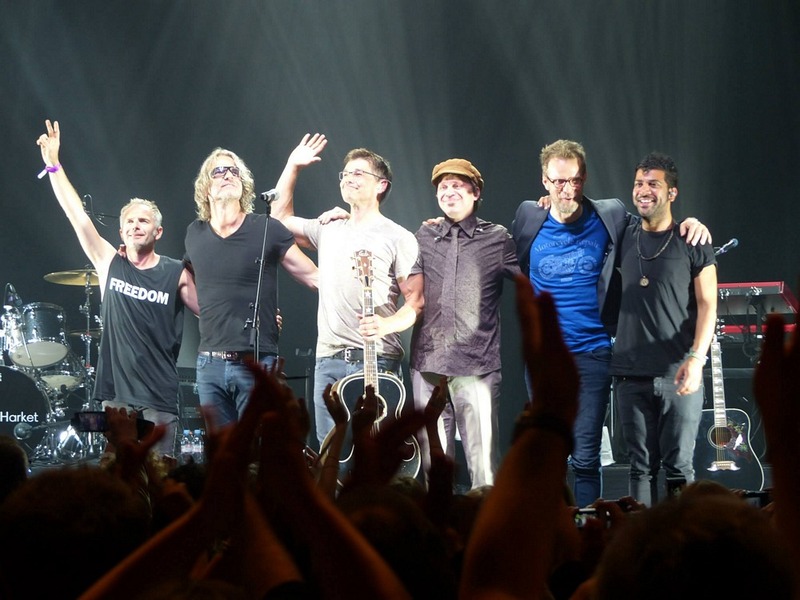 The whole concert can be watched again at wdr2.de. Morten opened his Out Of My Hands solo tour in Krasnoyarsk, Russia last night, backed by Karl Oluf Wennerberg, Erik Ljunggren and Dan Sunhordvik. 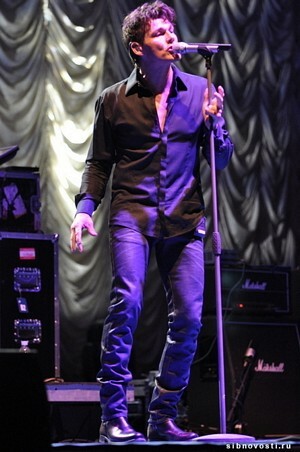 The stage production was rather sparse, without any video screens, but Morten appeared to be in fine vocal form – despite some false starts and forgotten lyrics. 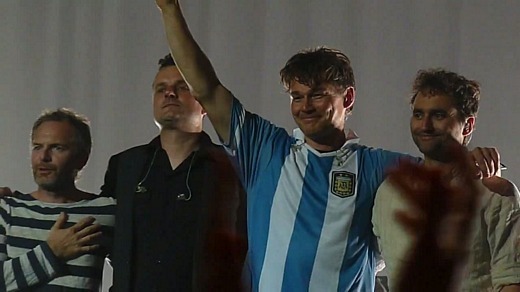 “Out Of Blue Comes Green”, which won the fan voting on Morten’s website, was performed live for the first time since 1989. This means there were 7 a-ha songs performed, 5 songs from Out Of My Hands and 3 songs from Wild Seed. 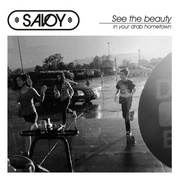 Nothing from Letter From Egypt or other English-language solo songs. 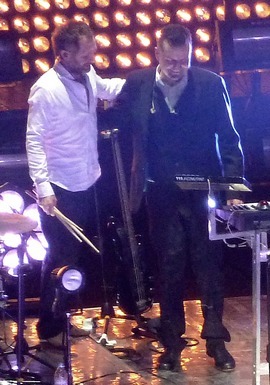 It had been said beforehand that the tour would include “a selection of a-ha songs”. The fact that this “selection” turns out to be almost half the setlist – 7 out of 15 songs, is sure to disappoint those who had been hoping to hear mostly solo songs at his solo concerts. Too bad he doesn’t have more confidence in his own material at the moment. 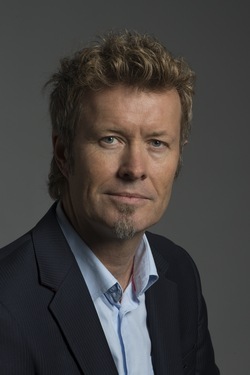 According to a press release posted at music-news.com, Morten’s touring band this time will be the a-ha musicians Karl Oluf Wennerberg on drums and Erik Ljunggren on keyboards/bass, plus Dan Sunhordvik from Magne’s solo band on guitar. In addition to solo material, he will also perform “some selections from the a-ha catalogue”.